Welcome to your new home. 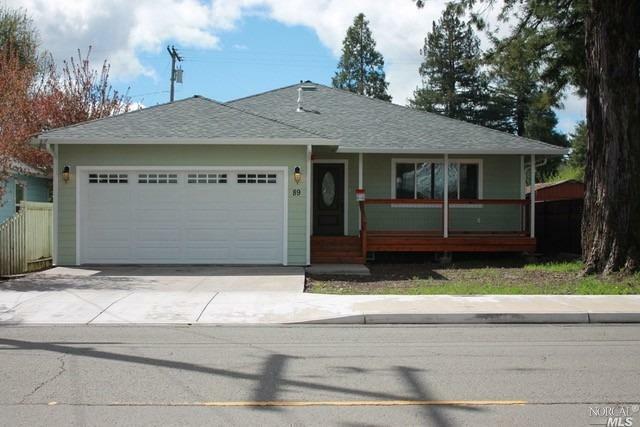 This new construction, 3 bed/2 bath home, is near downtown Willits. Enjoy the open concept living room, dining room, and kitchen. Beautiful dbl bypass barn doors conceal the laundry room. The kitchen has maple spice cabinets and stainless steel appliances with quartz counter tops. Hall bath features include subway tiles & a jetted tub. Master bath features dbl sinks and plenty of counter space. So many great features! Kitchen: Dishwasher Incl., Gas Range Incl., Hood Over Range, Refrigerator Incl.